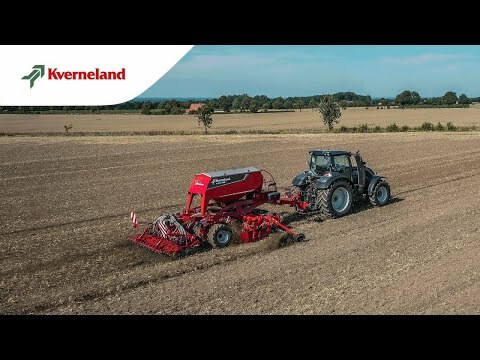 The u-drill is a trailed seed drill combination available in 3.0m, 4.0m rigid and 4.0m and 6.0m folding to carry out seedbed preparation, levelling, reconsolidation, seeding and pressing in one pass.The focus in design has been especially given to high speed operation (10-18km/h) whilst ensuring a perfect seed placement. The hopper can easily be filled using big bags and a front loader or telescopic handler. For the 6m version a filling auger is available. The hopper has a capacity of 3,000l (3/4m) respectively 4,350l (6m). The u-drill is extremely user-friendly: Being of course fully ISOBUS compatible, the driver is in full control of all data. The u-drill is ready for GEOCONTROL in order to control application rate and half-width shut-off. In addition, only one double-acting valve ensures the fully automatic controlled head-land-management.